I did not mean to be away for so long, but quite a lot of non-writing stuff happened (everything from annoying changes in the day-job to being able to do a bit of travelling). Now I am getting back into publishing (I never really stopped writing). 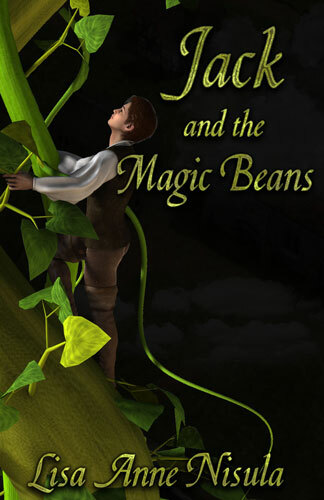 The first books I’m getting out are steampunk cozy mysteries, so I decided to use a slightly different name. L. A. Nisula. I bet you would have figured out that was me anyway. The series is called Cassie Pengear Mysteries and you can find out more about them on my new web page http://lanisula.com The ebook is slowly getting published everywhere, and the print version will be out early next month. I’ll be posting the links to the various retailers on the other site as they come online. I did want to give you something for waiting so long, so here is a coupon code for Smashwords.com which will make the book free if you buy it there (normally it’s $.99 since it’s the first in the series) The code is SF87U and it’s good until the end of January. The sequel to it is done, I’m just waiting to make certain there are no glitches with this release before I start uploading it. I’m considering a new cover for Ella and the Panther’s Quest to make it fit in better with my later books. Right now it’s only on the ebooks and slowly rolling out. I’m not completely sure this is the final version, which is why it’s going slowly. Once I’m certain, I’ll change the print version too. This is the new cover at the moment. 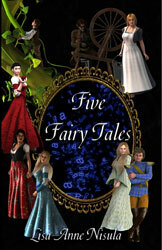 I have four new fairy tale ebooks out! That’s why I haven’t been posting here; I’ve been writing. It’s also why there was a such a delay in the print version of Mirror on the Wall; I had to decide how I was going to do the whole lot of them. You can get all the links and info on my web page here. They’re ebook only now, but I just ordered proof copies of the print books, so early next month they should all be out in print. The individual stories will be available in print on Amazon only (has to do with the lower fees from Createspace on Amazon sales; I’d have to charge more than I want to if they went into expanded distributions) and the print collection of all five together will be available anyplace that wants to sell it. Here are the covers. I probably won’t be posting much for while since I have three new projects I’m deciding between, so I’ll be doing announcement only posts for a while longer. Mirror on the Wall is finally up at Amazon, Amazon.co.uk and other international Amazon sites (in English), Barnes and Noble, and Smashwords. It will take a couple of weeks for it to be available at Kobo, iBookstore, etc, and I’m working on the print version. With mailing proof copies and everything, that will probably be ready next month. So far, so good. I’m working on formatting the e-book tonight, so everything is on schedule and Mirror on the Wall should be out in e-book soon, with the print version to follow when I get it done. It’s going to work out to around 70 pages in print, with a few illustrations. I decided not to experiment with Amazon Select this time, so it will be on Nook and Smashwords and eventually the iBookstore and Kobo. Here’s the first few pages, roughly what I’ll be putting on my website as the sample. We lied when Father died because we had to. At least that’s what she said. We were sitting at dinner―roast chicken and root vegetables, after leek and potato soup―and the dessert, apple trifle, had just come out. Father started first, of course. Royalty was served before anyone else. The queen piled cake and berries on my plate, trying to bribe me with sweets for some unknown reason. “Go on, dear, eat up. It’s good.” She licked the cream off the spoon and rolled her eyes like it was the best thing she’d ever tasted. I didn’t like her, so in the contrary way of a seven-year-old, I took my time before starting my dessert, picking up my spoon and carefully arranging the cream so it covered the plate smoothly before I took a spoonful and studied it, making sure it was exactly one-third cake, one-third fruit, and one-third cream. And then he collapsed on the table. The guards moved in and, in less than a breath, they had surrounded us. The queen was leaning over Father, feeling his neck. She shook her head. Samson, the captain of the guard, stepped forward and touched Father’s neck himself, not to contradict the queen, but to confirm it, although the queen seemed mad at him anyway. The queen, I suppose I should have called her “Stepmother” or “Calida” at least, shook her head. 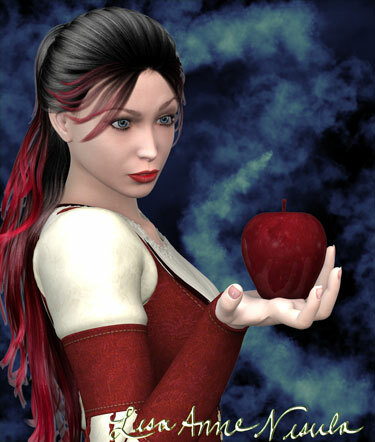 “Poison.” She grabbed a slice of fruit from the plate and flung it at the fire. There was a snap, like a cracker tossed in, then a flare of lime-green light filled the hearth. There were gasps, but why anyone would be surprised that Cathguard would want to kill Father surprised me more. I’d been hearing tales of their treachery since I was in the cradle. One of the guards with more sense than the others grabbed the plates from the table and the spoon from my hand. “Your Majesty is lucky you did not―” but he didn’t finish. He’d seen Queen Calida’s spoon was streaked with cream. Accusing the cook loosened my tongue. “I was with her this afternoon. She couldn’t have done it.” I left out that I had helped chop the fruit and layer the cream. The queen didn’t like me spending time in the kitchens. They were ignoring me, so I snuck out between two guards at the kitchen stairs―they both pretended not to notice―and crept down to the kitchens. It was warm there, and bustling now that dinner had been cleared. I found a corner by the fire and sat to think. I didn’t know if “tell no one” included servants or not. They’d find out on their own twice as fast as any spy, but, while I was contrary, I was also a princess, and I wouldn’t betray the kingdom. I huddled back in the corner. Melba shrugged. “When you’re ready to talk.” She went back to work and let me be miserable. She was used to me and to my moods and doted on me like her faraway daughter ever since a four-year-old princess had been bored and found her way to the room where the cookies came from. No one came looking for me that evening; everyone was too busy questioning each other. I wasn’t a suspect, so no one was interested in me. I spent the time by the cheery fire, sipping milk tea, shelling peas, and running around the kitchen making a nuisance of myself, although I didn’t know it. The next morning, the castle was full of guards. Everywhere I looked, there was someone in armor clanking around, talking about Cathguard spies. No one noticed me as I ate my toast and honey. When I’d finished, there was no maid or guard to take me up to the classroom and Master Beaufield. I didn’t need anyone; I was old enough to find my own way there, but it wasn’t normal. I’d made it all the way to the schoolroom door when I started thinking, no one would notice if I didn’t go inside, not right away. Master Beaufield would think I was being kept away for a good reason, and whoever was supposed to bring me―usually it was Lieutenant Conrad or Daisy the drawing room maid―would think someone else had come for me. I liked Master Beaufield well enough, and he taught my favorite doll, Annie, along with me, but it was my first break of freedom and I didn’t want to waste it sitting at lessons. Annie agreed with me, so we ran to the servants’ stairs and made our way to the kitchen. Melba was at the table, working out the five courses that would be needed for lunch. I sat at a small table near the window and used the discarded turnip leaves and nutshells to make a tea set for us. Melba came by and put two chipped cups in front of me. “Poor child.” I wondered who she meant since Annie seemed quite comfortable. Fried sugar dough was a favorite of mine. I nodded. “Would you like to help make it?” She held out her hand and I went with her to the big table. She lifted me onto the stool and left me with a ball of dough to make shapes from and sugar to dunk them in before I ate them. It was like playing with sugary clay, and no one noticed if a few bits of uncooked dough wound up in my mouth. When Melba had a free minute from her trout, and turnip soup, and braised quail, she fried my dough masterpieces and set them out with a pitcher of milk for me and Annie to share. When Annie and I had finished our snack, Melba sent us back upstairs for our delayed lessons. I expected Master Beaufield to be mad, and I practiced excuses all the way to the door, but when I got there, I heard music. I peered around the door and saw Master Beaufield at the piano, sheets of half-written music paper around him. I crept to my seat. Maybe he’d think I’d been there the whole time. As Master Beaufield grabbed up his pen to write a few notes, he caught sight of me out of the corner of his eye. “Princess Snow White, um, it seems we’re beginning lessons a little late.” He smiled sheepishly. Since Master Beaufield didn’t mind the extra time for his writing, only the queen finding out about it, I snuck back to the kitchen before breakfast the next morning, and most mornings after that. That’s how I found out about the state visit with the king of Cathguard and his son. I climbed into my chair and helped Melba by adding pepper to the sliced potatoes in the pan. I wasn’t sure how much to add, so I ground a bit more in, twice since the pepper mill was fun to use. “Then we’ll need milk for all of that. Enough, Snow. I’ll take the pepper.” I handed it over, but Melba didn’t seem to need it for anything. She went to the back door to talk to the gardener. I grabbed the pan and brought it to the fire so she could fry the potatoes. Tom ran for the door. I picked up the milk picture and followed Melba back to the table, or so I thought. She stopped at the cupboard to check the supply of herbs and I bumped into her, sloshing milk on the floor. Cora hurried to sop it up. Melba sent jam tarts just for my breakfast. The queen sneezed as she started on her fried potatoes. She looked around for her glass and noticed me. I made a face; I didn’t like the burly, bristly man, and I suspected he didn’t like children. I ran to Conrad and stood near him. I didn’t like having any guard in the castle―it meant I couldn’t visit the kitchen, or the garden, or sit in the old nursery where I had outgrown all of the toys―but Conrad was much friendlier. He could even be persuaded to join in a game of marbles or catch. On the day of the big visit, I was awakened early to bathe and be dressed by one of the queen’s maids who I only saw before state events. I had been hoping for a nice pink dress, or blue, or red, or anything pretty and not mourning black, but I was buttoned into a new black-wool dress and strapped into a new pair of shiny black shoes. I hadn’t been fitted for new shoes, so they must have used old measurements, and I had grown. My hair was brushed almost out of my scalp and tied back. As the maid was curling the ends of my hair, the queen came in and stood behind us, staring at me in the mirror. By the time Conrad came to bring me to the entrance hall, we had gone through all of my answers for eight sets of questions on Father’s absence. After that, she trusted me to mix up my responses. As Conrad led me out I could see myself in the mirror with my black dress and smoothed-out hair: the very image of a serious young princess, dutiful and quiet, and terribly uncomfortable. Even I could hear the contempt in her tone. I wondered why I had to be polite if she could get away with that. I saw Prince Alexander scratch at his neck. King Mathius tapped the back of the prince’s hand and he stopped. The king pulled off his riding gloves and looked for someplace to put them. No one stepped forward to take them, so he had to carry the dusty things with him into the dining hall. We all sat around the table. With only four of us, it seemed huge. The prince was seated across from me. He was only a little older than I was. Another day, I might have invited him to see the frogs in the well, or the apple trees behind the kitchen, or maybe even offered to sneak him some fried sugar dough (not telling him how easy it was for me to get, of course) but I wasn’t feeling friendly. I was stuck wearing a scratchy black dress, and pinching black shoes that squeaked if I stepped wrong, and my face felt stretched from the tight knot my hair was in, and I think the curling iron had burned the top of my head—all for meeting these people. And I was pretty sure it was their fault I had Conrad following me around now. I sat on my chair and stared at the tablecloth, giving one-word answers when King Mathius spoke to me directly and thumping my heel against the chair leg. I wanted to ask why he was called “King” like Father, but that would have meant I was showing an interest. I perked up a bit when the tea came out, until I saw what it was: bread-and-butter sandwiches and celery sticks. I was prepared to blame the visitors for that too, but the prince looked as disappointed as I felt, and the king was glaring at the food like he wanted to punish it, but he was too polite to do that in public. Only the queen seemed pleased. I just stared at my hands. The prince looked jealous as I scrambled out of my chair, but I didn’t invite him to join me. As I left the room, I heard the queen say, “You must forgive her, she doesn’t understand what she says,” and the buzz of agreeing voices. Melba hadn’t made any sweet for tea, but when she heard the queen’s message, she pulled the bowls out again. I climbed up on the high kitchen stool and helped her measure and mix. Then I sat at the scrubbed wooden table and ate three pieces of cake, far more than I would have been allowed upstairs. So far still on schedule to have this out next month. I’m closer to having a cover. I’m not sure this is the final one, but it’s getting there. Mainly unsure on the font. I know if I try to give a firm date, something will go wrong, so for now, Mirror on the Wall is coming out next month. Early test/draft of what Snow will probably look like on the cover. 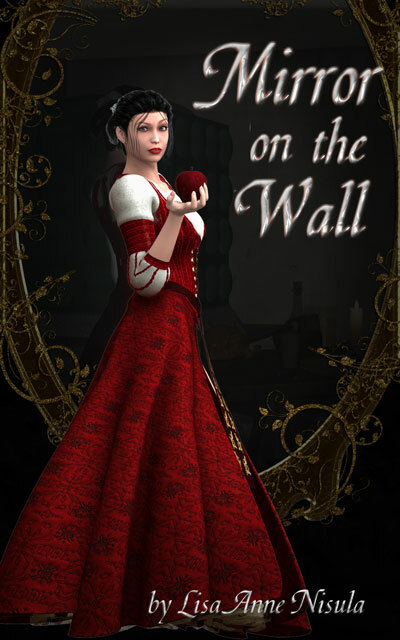 When I decided to write this story, Snow White seemed to be turning up everywhere, but at a glance (and all I’ve seen so far is a glimpse of her in the trailers from the two films coming out), Snow doesn’t seem to be very much herself in them. Both movies look interesting, and I’m loving the show Once Upon a Time, but I wanted to see if I could make her interesting while sticking close to the character in the original story, no comedy, no action, no fairy tale mash-ups, just Snow White on her journey to grow up. I think I managed to stay close to Snow White herself, but I did end up changing other things. I added a lot of characters, which wasn’t surprising since this story is much longer than the original tales. So when will it be released? That is the question. Soon. It’s almost ready for final proofreading, then I have to format it. I was really hoping for this month, but next month might be more realistic. It will probably be ebook only for a little while, then I can give myself a little more time for the print formatting, which I think is easier, but also more nit-picky, or maybe that’s just me; I still like print books better. I am considering putting it in Amazon select for the minimum 90 days, which means the ebook would only be available on Amazon for 90 days, but I could make it free for five of those days. I’ve heard a lot of people having a lot of success with it, so I’m curious, and the next thing I’m planning on working on would not be a good candidate for it. A very early test of what a cover might look like, although the final one will probably look nothing like this. I am now all caught up on book trailers. That’s right, I’ve finished one for Ella and the Panther’s Quest. So I now need to write some more books 🙂 Here it is. Here it is- the book trailer for Fantasy Kingdom XXI. Enjoy! Another list of books I’ve liked. Some of their influences are more obvious in my writing than others. These are all classics, and the links will send you to Project Gutenberg. If you’re not familiar with the site, they’ve been around forever, since before I had the web at least (I remember using the old text based Freenet to read books from them) and have digitized tons of classic, out of copyright books. Jane Eyre, Charlotte Brontë. Wonderfully gothic atmosphere, a plain Jane (literally) who gets to be a romantic heroine, a dark and brooding hero. In short, everything a good romance needs. I think of The Wizard at Pembrook as my Jane Eyre book. Pride and Prejudice, Jane Austen. The other end of romances: light, frothy, drawing rooms and tea. I’ve had a crush on Mr. Darcy since long before Colin Firth played him (although that certainly helped it along 🙂 ) Ella and the Panther’s Quest has a strong Pride and Prej. influence. My Last Duchess, Robert Browning. I short (very short) entry, but I love how you learn everything important about the speaker and his last wife, and even something about who he’s speaking to, without any of the important stuff being said directly. The Works of William Shakespeare. Everyone lists him because you’re supposed to, so I’ll be very specific. For me he’s here because of his fools. They’re funny and bit a crazy, but they’re also usually the only one who can see what’s really going on and, because they seem so harmless, they can tell the king (or whoever is in power) the truth that everyone else is afraid to. They also seem to be the only one who can get close to the king. It’s a type that comes up a lot, my favorite being Gene Sheldon’s Bernando in Zorro (I wish the Disney Channel still played that show) If you’re interested, my favorite plays are King Lear and Much Ado About Nothing.